Symptoms related to the code P0102 include no-start, stalling, lack of power, hesitation, rough idle. - electrical problem with the MAF sensor wiring or connector. 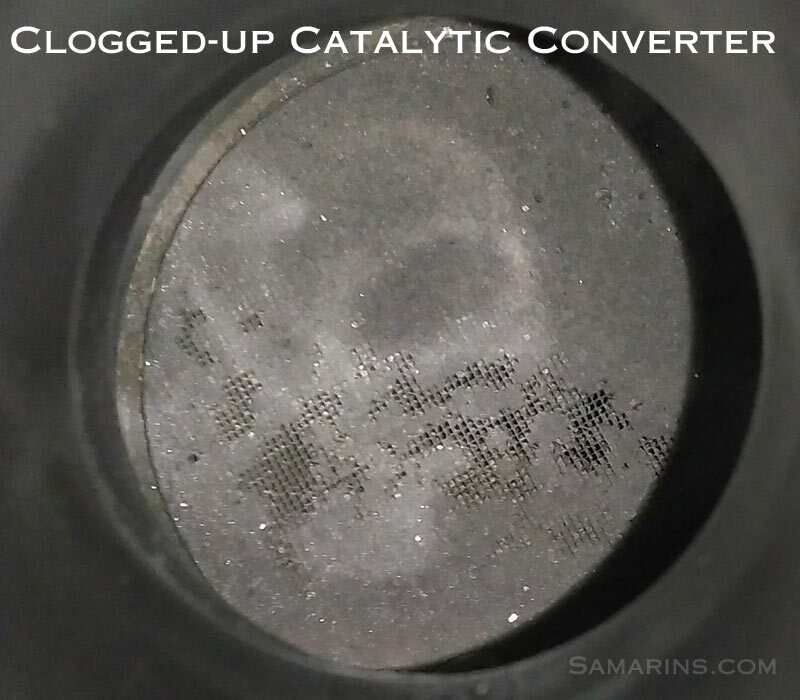 - clogged catalytic converter or a faulty manifold absolute pressure sensor (MAP). In many GM vehicles the code P0102 is caused by a faulty mass air flow sensor. The repair involves clearing the code and replacing the MAF sensor if no other problems found. In some Mazda vehicles with the Skyactiv engine the code P0102 could be caused by a failed mass air flow sensor . Replacing the mass air flow sensor often resolves the issue. A Nissan technical service bulletin (TSB) for the trouble code P0102 in 2002 Nissan Maxima recommends removing debris from inside the air filter housing, replacing the airflow meter assembly and reprogramming the ECM. 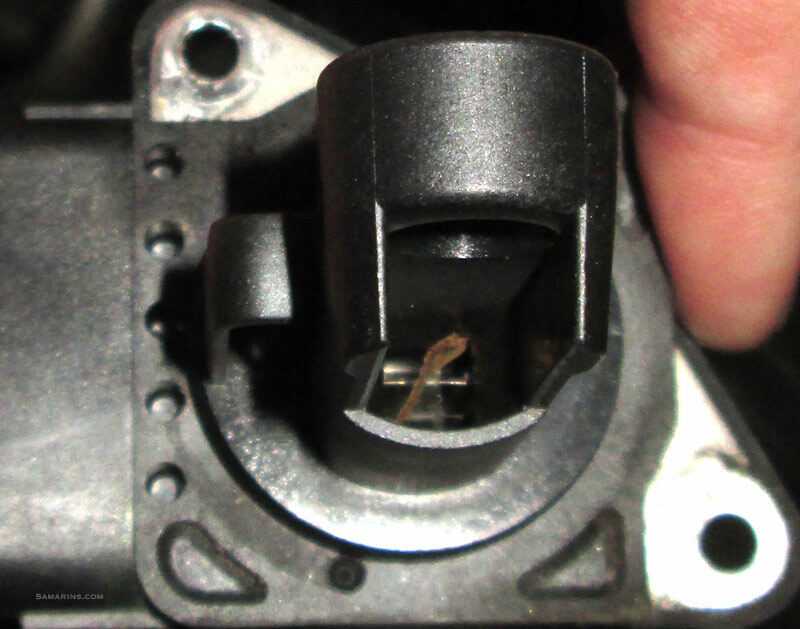 A Toyota TSB describes a problem with 2006 Toyota Tacoma, where loose terminals in the MAF sensor connector could cause the code P0102; the connector must be checked and repaired if needed. In many European cars, including Volkswagen, Audi, Volvo, BMW and Mercedes-Benz the code P0102 is often caused by a faulty mass airflow sensor. We have seen cases where this code was caused by an aftermarket air filter or cold intake installed. The first step to diagnose this code in this case, is to install back the OEM components, clear the code and see if it comes back. 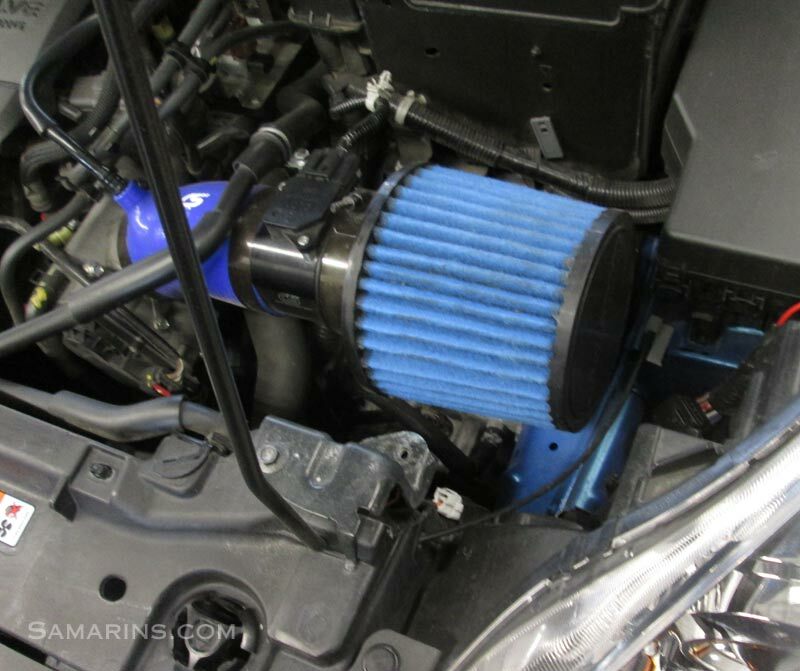 The snorkel between the mass air flow sensor and the engine intake needs to be checked for cracks, tears, loose clamps or improper connection. 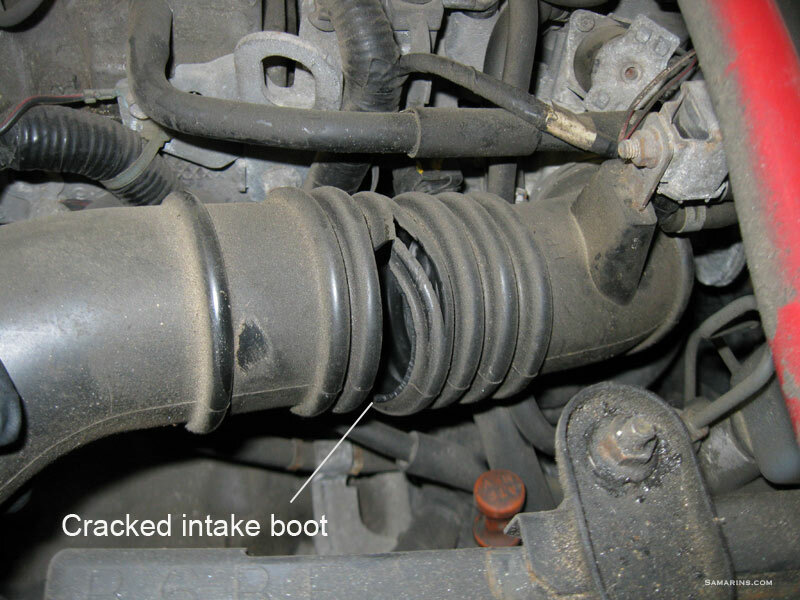 See the photo of the cracked intake snorkel (boot) below. The connector and the wiring at the mass air flow needs to be checked for loose terminals, corrosion or damage. The air filter needs to be inspected and replaced if dirty. Some cars (e.g. Volkswagen, Audi) have a screen inside the air duct before the air filter (Snow Screen). This screen needs to be checked for leaves and other debris blocking the air flow. The mass air flow sensor needs to be checked for contamination or blockage (see the second photo below). If the sensor element is dirty, cleaning it may help. However, the element is very delicate and should be cleaned carefully to avoid damage. The mass air flow sensor reference voltage and ground must be checked at the sensor connector. The air flow sensor readings must be checked with the scan tool at different RPMs and compared to the readings of the known good sensor. The long and short fuel trim readings also need to be checked. Often, the solution for the code P0102 is to replace the mass air flow sensor if no other problems found. A poor-quality part also can cause the code P0102. It's best to use an OEM sensor. The mass air flow sensor costs from $70 to $350. Replacing the sensor is easy. If the problem is fixed, the code P0102 will clear itself after driving.